A major englobo land parcel in Mackay is for sale with approval to develop the next stages of its “Park Residential” lots, with flexible sale options available for a purchaser. The balance of Settlers Rise estate, 12km north-west of the Mackay CBD, has been taken to market by Ray White Special Projects Queensland on behalf of receivers and managers, McGrathNicol. With approval for 254 lots, the estate forms part of a limited supply of "Park Residential” land close to the Mackay CBD. Ray White Special Projects Queensland executive directors Mark Creevey and Tony Williams are marketing the property with co-agent Des Besanko of Raine & Horne. 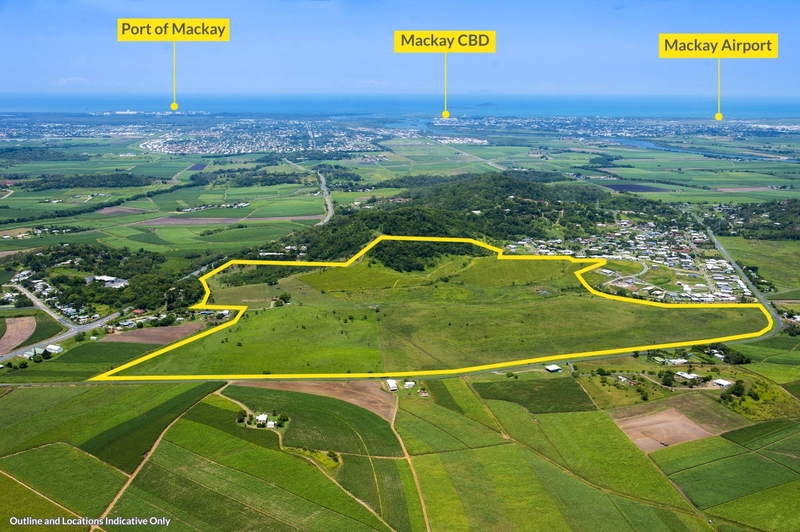 Creevey says the majority of rural land surrounding Mackay is either reserved under the Mackay Regional Council Strategic Plan for agricultural uses or for urban residential development. Settlers Rise is one of Mackay's few “Park Residential” estates. It is close to local shops, taverns and primary school facilities in the township of Farleigh, and approximately 8km from general shopping and a high school in Mackay. "As well as the development permit (reconfiguration of lot — ROL) for 43 lots in Stages 4- 5a, Settlers Rise has preliminary approval (material change of use — MCU) for a further 211 lots in its final stages, 5b-12," Creevey said. "The approval is current until July 28, 2028”. "There are also flexible sale options available to a purchaser which include the opportunity to purchase outright or enter in various forms of structured agreements including but not limited to joint venture, development management agreement and/or project management agreement." The masterplanned “Park Residential” community, which has been designed to suit Queensland’s laid-back lifestyle, will eventually accommodate hundreds of households with block sizes of a minimum 2000sq m.
The estate is accessed via Sugarshed Road, which was named in a nod to the region's sugar industry history. Ray White Special Projects Queensland executive director Tony Williams says elevated sections of the estate, which made up of mostly cleared undulating land, provide the opportunity for rural views. "Settlers Rise will also include parkland and green space, tracks for walking and waterways that follow the landscape," he said. The listing has been launched as Mackay enjoys positive predictions for the local economy, which may reflect in an uplift to market sentiment. Unemployment has dropped through 2016 and 2017 since reaching a high of 8.3 per cent in December 2015, according to Queensland Government data. In September 2017, the unemployment rate was 5.5 per cent. There were 536 urban and rural lot approvals in the year ending June 2017 compared with only 159 in the year ending June 2016. Settlers Rise is in close proximity to services, including electricity, telephone and reticulated town water. Registrations of interest close on Wednesday 18 April, 2018 at 4pm.